Technical Print Services - Specialist in the Product Printing and Marking Industry. We are dedicated to providing our customers with the best printed products at the lowest industry prices. Technical Print Services specialise in Pad, Rotary, Screen and Digital Printing as well as Hot Foiling. Our highly trained team of print operators work together to ensure every product is to the highest standard. 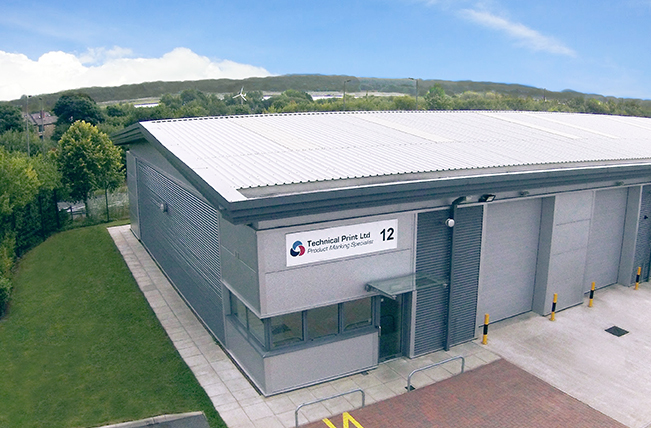 As a self-contained company, we generate a unique package of printing services, concentrating primarily on plastics and metals, alongside a range of other materials. Over the past decade we have built up a strong repertoire with the world market leaders who constantly return to us due to our quick lead times, high quality printing and dedicated customer service. Technical Print Services originally started out as a consulting company to the print industry. A selection of our staff have gained world wide experience working for leaders in the print industry such as Ruco and Marabu Inks (Germany), Teca-Print AG (Switzerland) and Groupe Dubuit (France). Since been established in 2003, we have become specialists throughout the product marking industry. We have built up a strong relationship with partners in the automotive, medical, cosmetic and promotional industries. Continually improve all aspects in which we operate - environmentally, socially and economically - helping to create a better tomorrow than today. To supply all of our customers with the best printing services at the lowest industry prices. Continuously develop all of our services through staff training and facility investment. We value all individuals and pride ourselves in being a user of the employer disability symbol. With our friendly customer support team and highly trained printing staff, we ensure our customers leave happy. With our passion for work quality and excellence, our production times remain the lowest in the industry. We take great pride in all our work and ensure every product is printed to the highest standards. We love to create opportunities for staff to achieve their full potential via personal training and feedback. We care about the future therefore we only use non-toxic inks and bio-degradable packaging.